Where can you still fly with Virgin Atlantic? 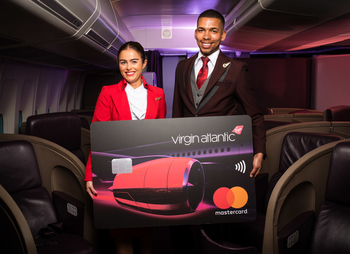 This is especially pertinent as you can still – until 14th December – get higher bonuses on the new Virgin Atlantic / Virgin Money credit cards. As you can read here, the free card currently comes with a 10,000 mile bonus and the £160 card comes with a 25,000 mile bonus. Virgin is also happy for you to have both cards as long as you leave a six month gap. Virgin Atlantic has emerged from a major period of flux. I was at Craig Kreeger’s retirement lunch at The Aviation Club on Thursday, and the Virgin CEO was discussing the difficult financial health of the airline when he joined. What we have seen since then is US airline Delta acquiring a 49% stake, the upcoming investment by Air France KLM for a 31% stake and a refocusing on routes to North America. Routes to points east of the UK have been aggressively pruned. Little Red, the UK domestic airline, was also closed although, of course, the wheel always turns and Virgin Atlantic is now reportedly bidding for Flybe. I thought it was worth doing a summary of where you can fly these days using Virgin Atlantic miles. From Manchester, Virgin flies to New York, Boston, Atlanta, Las Vegas, San Francisco (ends May 2019), Los Angeles (launches May 2019), Orlando and Barbados. Some of these are seasonal. From Glasgow, Virgin flies to Orlando (Summer only). From Belfast, Virgin flies to Orlando (Summer only). Missing from that list are numerous axed destinations – Sydney, Mumbai, Vancouver, Cape Town, Tokyo, Varadero, Detroit (moved to Delta). Go back further and you can add Accra, Athens, Mauritius, Nairobi, Nassau, Port Harcourt and Toronto. Virgin also has a close partnership with Delta Air Lines, its 49% shareholder. This adds Detroit, Minneapolis, Portland, Salt Lake City and Philadelphia to the ex-Heathrow options. It also flies from Edinburgh and Glasgow to New York, and in 2019 will launch Edinburgh to Boston (Summer only). Virgin has a number of airline partners – ANA, Air New Zealand, Air China, Gulf Air, Hawaiian Airlines, Jet Airways, SAS (earning only), Singapore Airlines, South African Airways and Virgin Australia, plus of course Delta. One improvement over the last year or so is the ability to book one-way redemptions with most partners. Virgin Atlantic previously insisted on a return flight. These, then, are the current Virgin Atlantic options if you choose to diversify away from Avios in the coming months or take advantage of the current improved credit card sign-up bonuses to start building up Flying Club miles. If you’re tempted to redeem on Virgin, this is my review of the Virgin Clubhouse lounge in Heathrow Terminal 3 (Anika’s more recent review is here) and this is my review of Upper Class on a Boeing 787. OT – please what is the link to upgrade from the BA blue card to the BAPP. Also if I have already spent over the £10k, will it immediately trigger the 241 voucher? No link – just make a new card application for BAPP on the website and enter your blue card number when it asks if you have any other amex cards. Yes it will trigger the companion voucher straight away, but just check the expiry – mine was issued with one year instead of two, and took a while for then to resume it for me. Just to clarify that yes DL own 49% of VS but they bought that stake from SQ not direct from Virgin. Any news, gossip/ speculation on if/ when Virgin Atlantic Flying Club joining same loyalty platform as AF/ KLM? VS won’t be joining Sky Team if that is what you are asking. VS spun off flying club into a separate entity earlier this year and it will remain owned by VS and DL. Rob wrote an article on it earlier this year. Nope, I mean redeeming Virgin miles on Flying Blue flights. Can somebody get the question in on Tuesday please? I was told that they could (technically) launch redemptions before regulatory approval is given for the JV. 31st March is an internal date they have but Kreeger implied on Thursday it may slip. Some months after 31st March would still be great. Could offer loads more possibilities, not just Europe of course. I keep seeing those 30%/ 50% off promotions on FB and if you had quite a bit of flexibility with your plans, they offer pretty good value. Though FB points redemptions don’t otherwise seem to come cheap. I keep meaning to use some of them to finally get some of my FB miles used! Regularly (perhaps every second time) they have decent discounts for Canada in Biz. I had been interested in flights from BHX on Flying Blue but it seems only CDG and AMS. I just did a test booking start for LHR to CDG in January. BA is 8,000 Avios + £35. Flying Blue is from 12,000 points + €68.34. Amsterdam is from 12,000 points + €79.26. these are interesting.. but the taxes/fees are 200-300eur cheaper starting from AMS instead of BHX – so could be worth starting your journey in AMS and getting a cheap cash flight to AMS. OT as no bits. I was looking for a short feeder flight yesterday on Google flights and noticed WOW’s price had a picture of a small carry on case with a line through it. Apparently if you want to put carry on in the overhead locker you had to pay more? How long has this been happening? With WOW or in general? AA have been doing this for a while and Ryanair are even worse by the sound of it! You can get round the new Ryanair rules (they were actually very generous in the recent past!) simply by buying the £6 priority pass – which allows you to take cabin luggage on board again. I actually think Ryanair is quite fair. You can take your normal cabin-sized bag AND a smaller rucksack/laptop bag, for free, but the bigger bag has to be checked in and go in the hold and the smaller bag goes under the chair in front. If you want to take your cabin bag AND smaller bag in the cabin, you pay £6 ish and get priority boarding (although the value of priority is very small when everyone has it). Is Spanish Groupon a shopping partner as well? I forgot to check before buying my avios yesterday so may need to kick myself now! Still, I seem to have got 12,000 avios for 153 euros which is pretty good to kick off my IB plus account. Like you were saying yesterday, 15,000 avios plus £35 gets a seat in the school hols which can easily cost £400! Just checked and it’s only 3 points per euro so I haven’t lost out as much as I would have at over at BA where it’s currently 16 avios per £! My Groupon vouchers are still showing as disponsible even though I went through the transfer process yesterday – I can transfer them to a new account can’t I? I’m sure a couple of people on here said they had done that. On another note, apparently the annual fee for Amex Platinum in Spain is 690 euros! I wonder if they get many takers? OT (no Bits) – Marriott ’29 ways’ points seemed to have now posted in one chunk – 1,100 points increase in my balance today. Indeed Alan, posted to both accounts which I had not yet linked. May hold off combining them for a bit longer….! Ah I wasn’t that lucky Alan. Lots of 50s but only 1 x 500! I think I remembered to enter almost every day! My husband’s various 50 points have posted, but not his 1,000. Neither of our accounts has had them credited. Dodgy Marriott IT yet again! Lots of folk on FT report receiving them too, hope yours come through soon. I can’t understand how flying direct to Seattle is more profitable for Virgin than flying to Tokyo. I’m hoping Virgin will release some new routes once the A350s are delivered. Seattle = Microsoft, Amazon, Boeing, Walmart, Starbucks, Costco, Expedia etc all have large offices in/around the city. @Mark – that’s like saying you don’t know why BMW 320D is less profitable than BMW 330. Sell something for £30K that costs £25K, or something for £20K that costs £10K, which do you think might be more profitable? Sell something for 20k and sell something for 30k with the same profit margin, which do you think is the higher profit???? Do you think margin is consistent across product? On the airline topic just look at the range of prices tickets in the same class will sell for. I believe it’s broadly accepted that WT+ is BAs most profitable cabin. Whilst we’ll never know for sure, this would suggest that the 3rd most expensive class of ticket is the most profitable. No not at all, you asked a question where the answer was obvious same as mine and not to do with the price of an airline ticket. A higher selling price doesn’t always mean higher profit it would depend on the business and the product or service, my original reply was that one bmw had a higher selling price. I don’t know about the profitability of airline tickets but I know there would be a lot of variables. If they’ve got nothing to say other than some asinine whinge, we come back to the acronym for Southampton Town Football United – STFU! Well I’m sure Rob’s all cut up about you not being happy…. So, my understanding based on the last available information i was able to find: No there are no ‘household account’s equivalents in flying club, save for the ability to create children accounts if your gold (which I’m not) – but you can book flights for other people is that correct? And, unofficially, if both account holders are travelling the call centre is generally happy to jiggle where the miles come from. the ‘jiggle’ is that you can use miles from more than one account so long as the miles for a sector can be funded from a single account. Always found Virgin call centre to be great when a “little jiggling” is required. Pardon my ignorance. What does the S in VS stand for? Someone already had VA somewhere in the world so Virgin Atlantic had to settle for VS as its operating code. With the transfer bonuses from Amex points to Virgin Flying Club, how much do these promotions come up nowadays? I saw one happened in August and am kicking myself for not transferring then. Hoping one comes up before May next year. Very rarely – but more often than the BA ones which are now non-existent. OT. but does anyone know how long it takes for the 3,000 miles to be credited to your account after you have placed your first Virgin Wines order ?